Please help me to welcome Richard Denney to the blog. I love watching him on YouTube and I am very excited to have him here with us today. 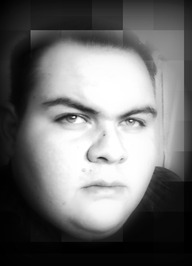 I am Richard Denney. I'm a YA author and I currently have two books out by me. and I'd love to thank Rebecca for giving me this spot! So it's October and here at SPOOKING THE SPINE it's all about Halloween and scary reads! So today I decided to tell you all a spooky true little story, that took place on Halloween. When I was fifteen I went trick or treating with a couple of my friends (I know fifteen is a little too old for trick or treating, but let's just look past that.) Well, my friends and I began our hunt for candy and stopped at a few homemade haunted houses along the way. It was a fun two hours before the scariness took reign. My friend Ashley was the last one out of the haunted house and let me mention we were walking, we didn't drive and we were on our own. So Ashley ran up to us, breathing like crazy and shoved her vampire teeth back into her mouth. My other friend Isabel noticed a guy in a Michael Myers costume staring us down from across the street and she informed us. We got creeped out but laughed it off and took off down the street. I had a weird feeling about that guy, even though "Halloween" is my favorite movie ever! So we were nearing the iron gate that blocked off a piece of land that led to the train tracks, when my friend Ashley turned to see the guy dressed as Michael following us on foot. We giggled and ran, Isabel nearly face planted because of her heels. We turned around and he was still following us. We stopped and didn't think it was funny anymore since he took off the mask and looked as if he was wearing a skin tight ski mask over his face. We noticed there were no lit porch lights and we suddenly got scared. I pointed to the fence and we bolted for the gate. All of a sudden as we were slipping through the bars, the guy took hold of Isabel and turned her to face him. Things got serious and intense. Isabel was the only one who had a cell phone and we were about ten feet from her and couldn't get it. I threw my candy bag at him and he let go of my friend that instant. The three of us took off and NOT EVEN five seconds later, we turned to see no one behind us. The street was empty and did I mention it was a one way street? if not, now you know. We hurried over the train tracks and ran into a 7-11 freaking out and not wanting to leave the store. Later that night, after my mom picked us up. Isabel told Ashley and I that the guy didn't have a face and he stunk like roadkill. I was like "He didn't have a face? don't bull--- Isabel." I was serious. Till this day she keeps her story straight, even though I haven't spoken to her since I graduated from high school and when I take my cousins out trick or treating and I see a guy dressed as Michael Myers... I turn and walk the other way and never look back. Thank you for reading my post and I hope I gave you a bit of a scare. Thanks to Rebecca and Bending the spine for this spot and HAPPY HALLOWEEN!! Richard Denney lives and breathes in El Paso, Texas. His favorite things to do are thrift shopping, reading, writing, devouring sour gummy worms and watching his favorite television series "The Vampire Diaries". Rebecca Willis is a 17 year old survivor of a zombie pandemic who’s still in love with her high school crush Lance Tanner, who just happens to be be a zombie. But when things begin to threaten her ties with Lance she must choose over saving her own life & the lives of her friends or saving her zombie. 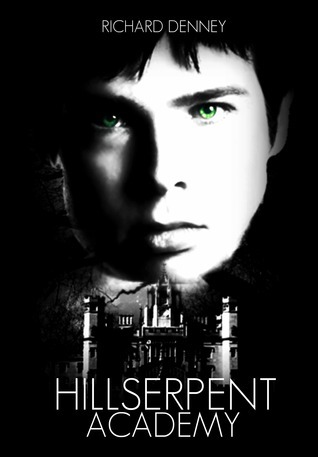 Owen Davinforth has been expelled from Hillserpent Academy for the last eight months & now he is permitted to return. But things have changed at the academy & not for the good. Owen's falling for a new guy, a dark force is working it's way around the school & it's aiming for Owen. Can he stop who or what it is before it's too late? What lies behind these gates? You will soon know. 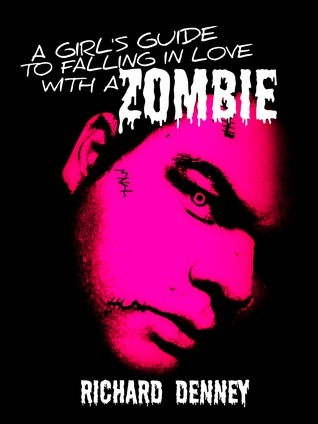 One eBook copy of A Girls Guide to Falling in Love With a Zombie and one eBook copy of Hillserpent Academy. You do not have to be a follower to enter, though it is always appreciated, please let me know if you are a new follower so I can check out your blog. Winner must contact me within 48hours of being chosen or give up prize to next chosen winner.